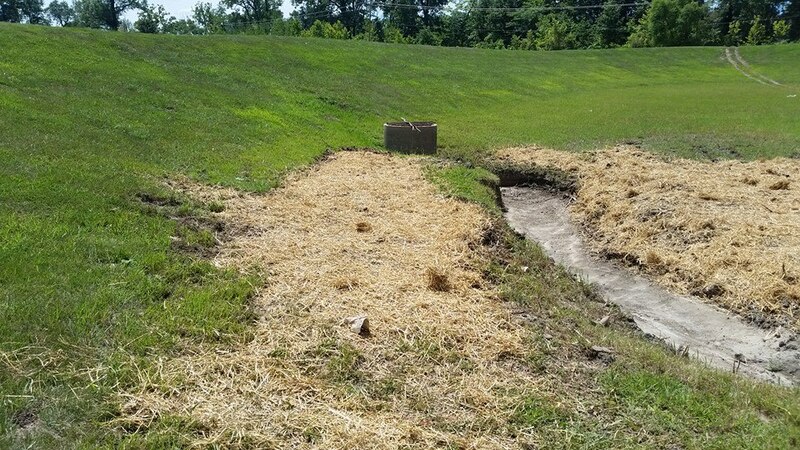 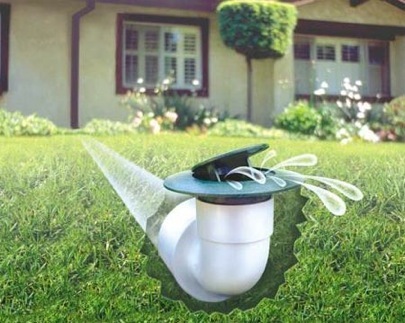 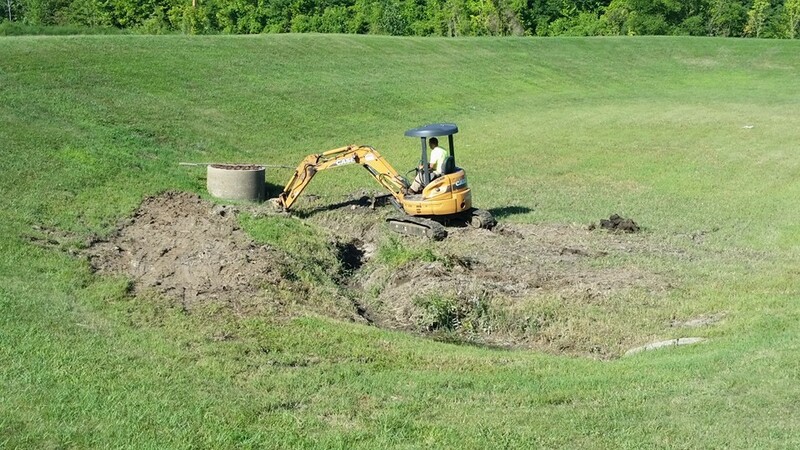 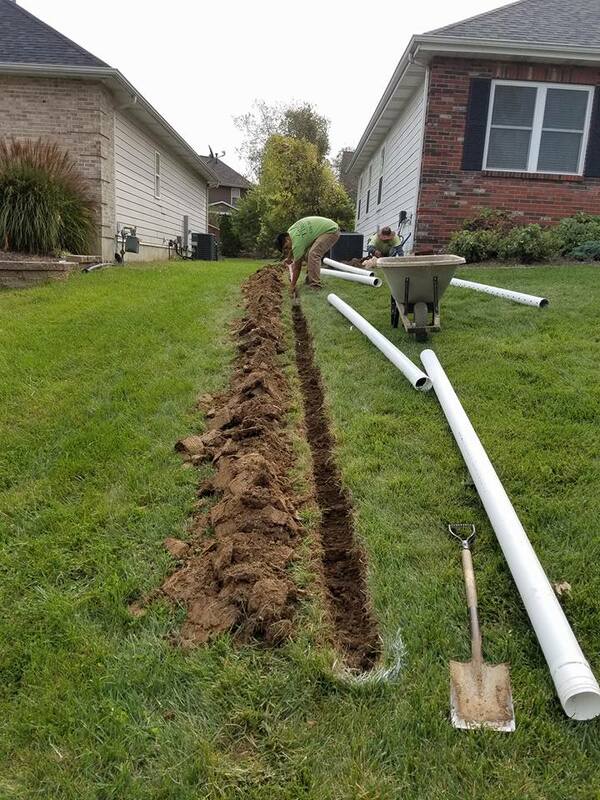 Lawn and property drainage solutions in the St. Charles and St. Louis area including stormwater management, landscape irrigation, and water flow management. 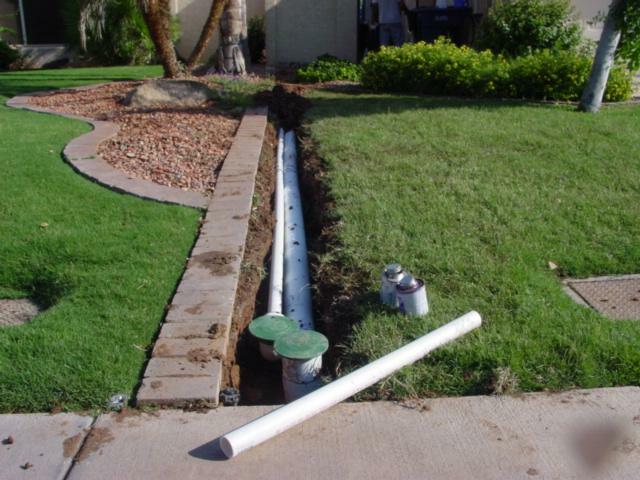 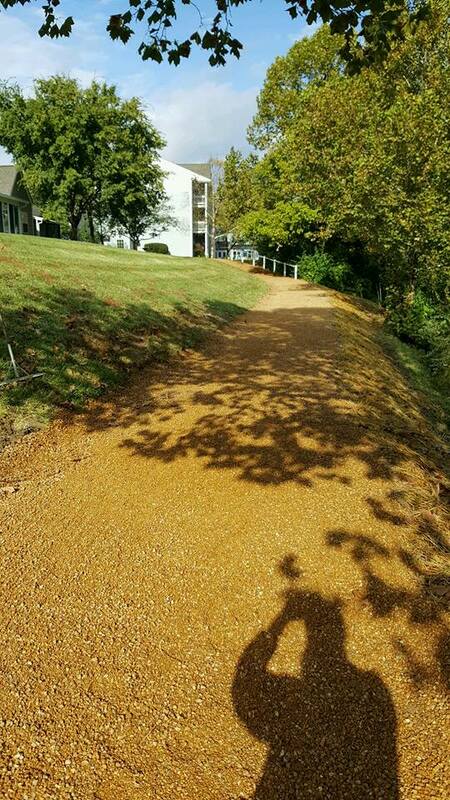 We offer you a variety of stormwater drainage solutions for your residential or commercial property. 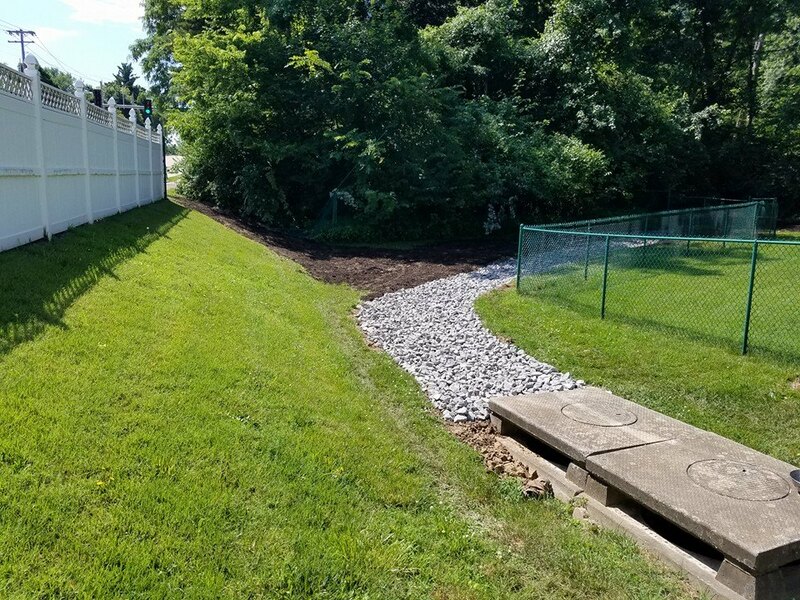 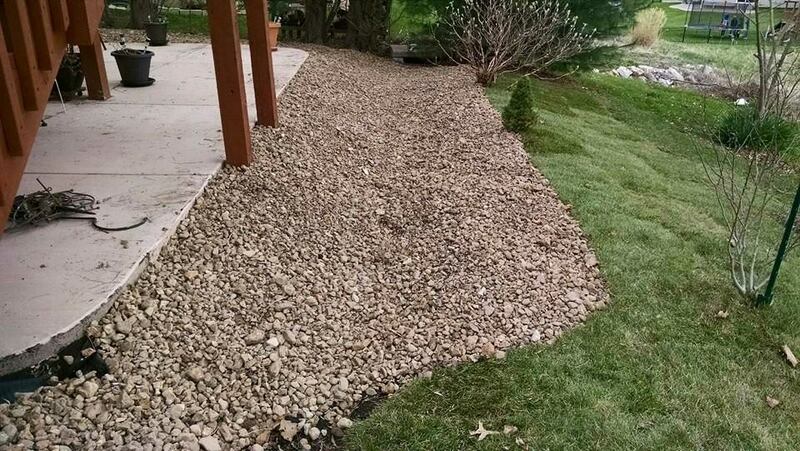 Our stormwater management solutions help control runoff, erosion, and eliminate standing water on your lawn or property. 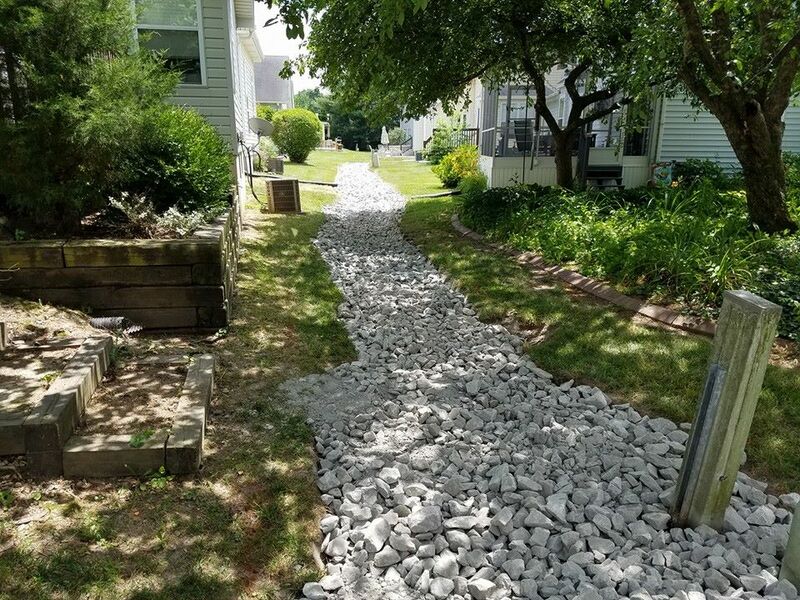 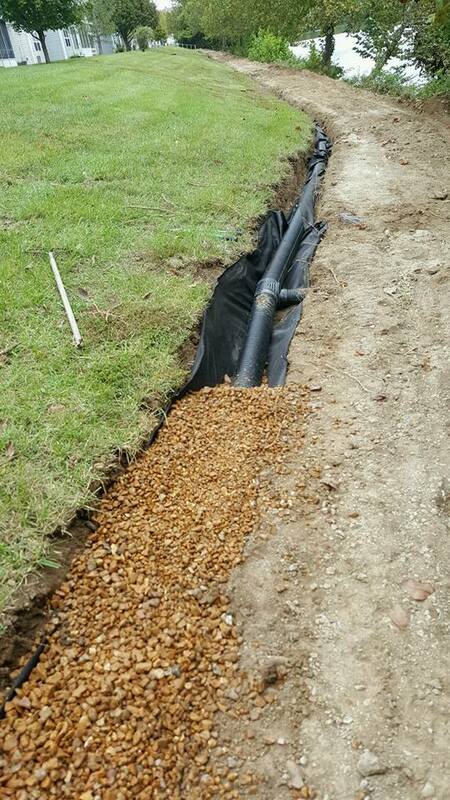 We have a variety of drainage solutions to collect, convey and retain stormwater throughout your yard to help prevent damage to your home. 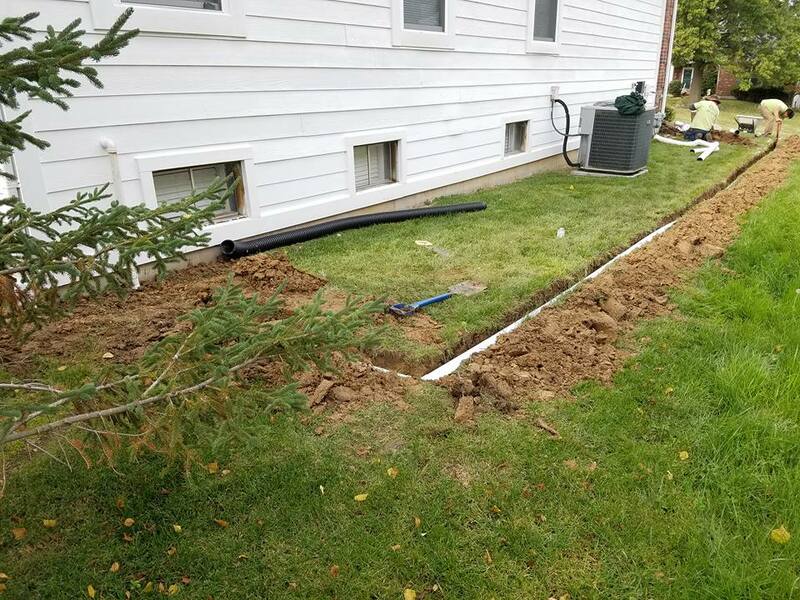 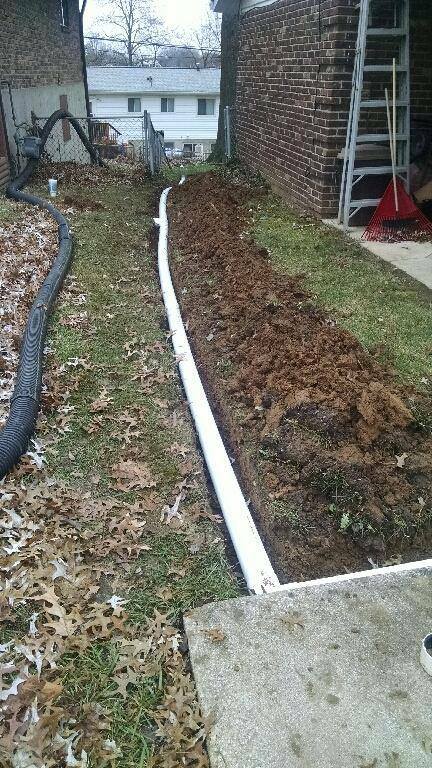 Get downspouts solutions to drain water directly away from the base of your home, saving your basement or crawlspace and foundation from water damage. 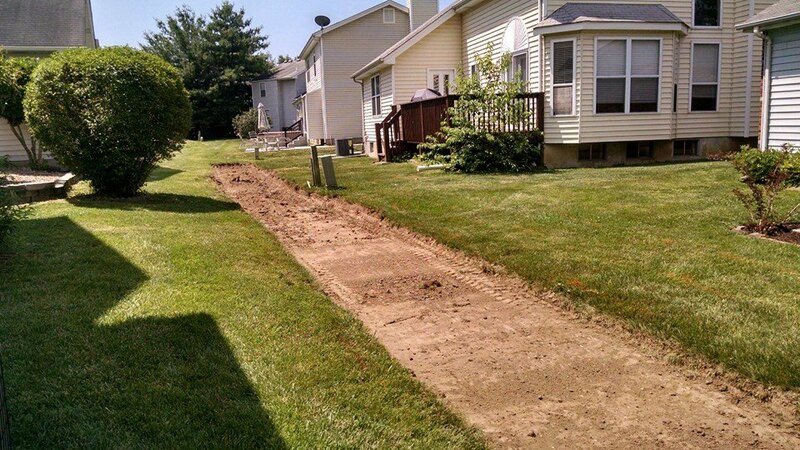 Besides lawn drainage solutions, Green Thumb LLC also offers you clawn mowing services, aeration, lawn seeding, grub control, landscaping, retaining wall building and more.